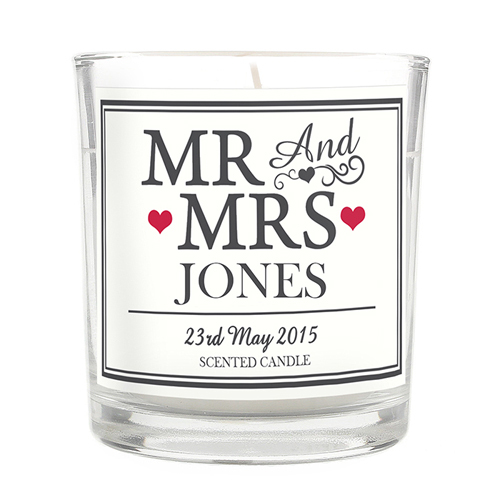 The words 'SCENTED CANDLE' and 'MR And MRS' are fixed. You can then personalise this scented candle in a jar with a surname up to 15 characters (which will appear in UPPERCASE) and a further line of text up to 25 characters in length (which is case sensitive and will appear as entered). Personalise with a surname up to 15 characters (which will appear in UPPERCASE) and a further line of text up to 25 characters in length (which is case sensitive and will appear as entered).